Democracy and freedom are illusions that are gradually dispersing like morning mist. Our governments apply to Cabalist (Masonic) bankers for credit like children asking for their allowance. Governments are just a veil for these bankers. "Successful" people are their agents. Freemasons control every important social institution: government, media, corporations, military, justice, education and the church. Humanity is being reengineered to serve the Cabalist bankers and their god Lucifer in a world plantation. As historian Bernard Fay explains below, the United States was established to implement this agenda which is behind US foreign policy. 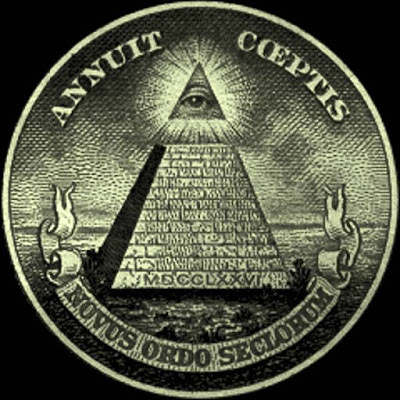 Most Americans scoff at the mention of conspiracy but they don't know their country was created by Freemasonry . Freemasons drafted the Constitution and signed the Declaration of Independence. The Indians who dumped the tea in the harbor were Masons. So was Paul Revere and his Minutemen, George Washington and most of his generals. The Marquis de Lafayette was shunned until he joined the Masons. At least 20 of the 42 US Presidents were "Brothers." The Freemasons provided Americans with ideals -- civil liberties, equal opportunity and no taxation without representation -- which still are valid. But they were enticements designed to win power. As you might have noticed, these promises were not intended to be kept. Politicians don't represent us. Most historians won't tell you this. In Upton Sinclair's words: "It is difficult to get a man to understand something when his salary depends on his not understanding it." But there was one historian who did reveal the truth. Bernard Fay (1893-1978) was a Harvard-educated Frenchman. He is considered an "anti-Mason" because his 1935 book, "Revolution and Freemasonry: 1680-1800" is one of the very few to reveal the extent of Masonic participation in the US and French Revolutions. He had access to Masonic archives in the US and Europe. His book is actually a sympathetic portrayal of Freemasonry with no references to its occult nature. However, as a Vichy Frenchman, he subsequently helped the Nazis identify Masons during World War Two. He was imprisoned after the war but pardoned in 1952 by Charles De Gaulle. Fay explains that in the 1770's, the US consisted of 13 isolated colonies with different governments, religious affiliations, customs, racial profiles, and social and political structures. There were intense rivalries and longstanding antagonisms. A letter took three weeks to get from Georgia to Massachusetts. Benjamin Franklin, who was the Grand Master of a French lodge, raised millions of francs crucial to financing George Washington's army. He was the first to submit a concrete plan for military collaboration and political federation to a Congress representing all colonies. He established a chain of Masonic newspapers in all of the colonies. You can imagine where he found the money.